The CipherLab 1070 barcode scanner is designed to provide an affordable and reliable solution for overwhelming scanning demands on shop floors and at checkout stands, the CipherLab 1070 CCD scanner helps businesses streamline workflow and boost work productivity with consistent, accurate data capture. It’s aesthetically designed lightweight form factor fits in nicely with any retail setting – even high-end boutiques. 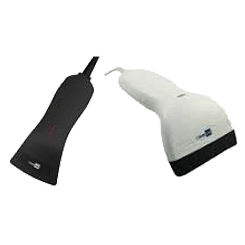 Lightweight and ergonomic, this CCD contact scanner fits nicely in your grip and with any retail settings. Together with 3-year warranty, the CipherLab 1070 ensures long-lasting performance with a significantly lowered total cost of ownership, as well as a high return on investment for any retail business.